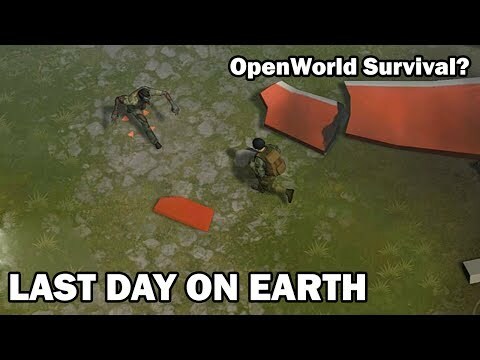 Hi guys, today we will look at a game called Last Day on Earth: Survival. This game is published and developed by Kefir!. Your main objective in Last Day on Earth is to simply not die. In a world overrun with zombies, you need to defend yourself and scrounge up enough resources to scrape by. You start out with precious little, but after a little item scavenging and crafting, you can make things like a shelter, weapons, food, and even modes of transportation. If you’ve played a survival game like Don’t Starve before, Last Day on Earth’s gameplay should feel very familiar. Most of the gameplay revolves around wandering an environment and strategically harvesting resources while maintaining things like your health, hunger, and thirst. As you do this, you will inevitably encounter zombies, who you can sneak around, attack, or run from. Whether you are chopping down trees or cutting up zombies, you’ll be earning experience points along the way which allow you to level up and unlock new things to craft. And now let`s get to the gameplay review! At a certain point in Last Day on Earth, you might get a bit comfortable dealing with zombie hordes, even when they come knocking on your door, but that’s not the only danger lurking in the game. In addition to the undead, players can run into each other in the world and even raid each other’s encampments in their struggle to survive. This sounds like a recipe for players to constantly deal with being raided, but Last Day on Earth’s crafting system thankfully prevents this from happening too much. If a shelter is properly enclosed, players can only bust through their walls by crafting C-4, a level 88 item. Although it may seem like leveling up in Last Day on Earth goes quickly at the beginning, it takes a significant amount of time to even get to level 20 in the game. Last Day on Earth really looks and feels like a complete game on the surface, but its status as an Early Access game shows when you dig into its systems and spend more time with it. There are items that aren’t in the game yet that are pre-requisites for other items, for example. Overall I think that this a game that actually deserves a chance!